Now both Jason, her husband, and Creon,the king of Corinth with his large army are out to kill her. 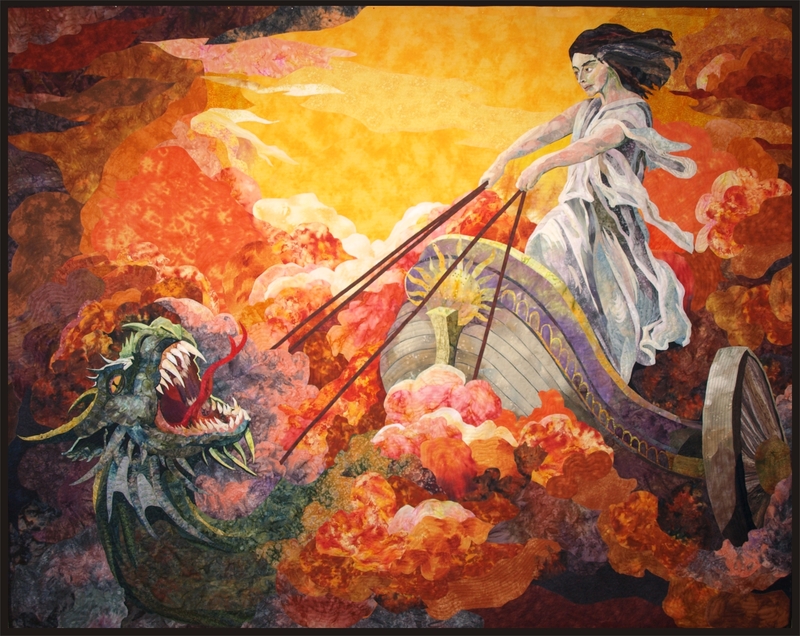 Medea flies off to Athens in a chariot drawn by a dragon, given to her by the sun god Helios, her great grandfather. I have taken a few of your classes in the QU but now that it is closing I was wondering if you are going to keep doing your classes yourself or are you not thinking about this at the moment. I would like to keep up with your site as the quilts are fantastic, especially the one – Medea Escaping – I like dragons and you dragon is so ‘real’ and detailed. do you spend a lot of time just looking for the right fabric or do you dye your own?